PARKLAND, Florida -- Students at a Florida high school recorded the harrowing moments in hiding during reports of an active shooter. At least 17 people were killed in a shooting at Marjory Stoneman Douglas High School in Parkland Wednesday, ABC News reports. The shooter, Nikolaus Cruz, is now in custody. Video shows student hiding in auditorium seats before armed responders attempted to evacuate the building. A student tweeted pictures of students cowering as Marjory Stoneman Douglas High School remained in lockdown. 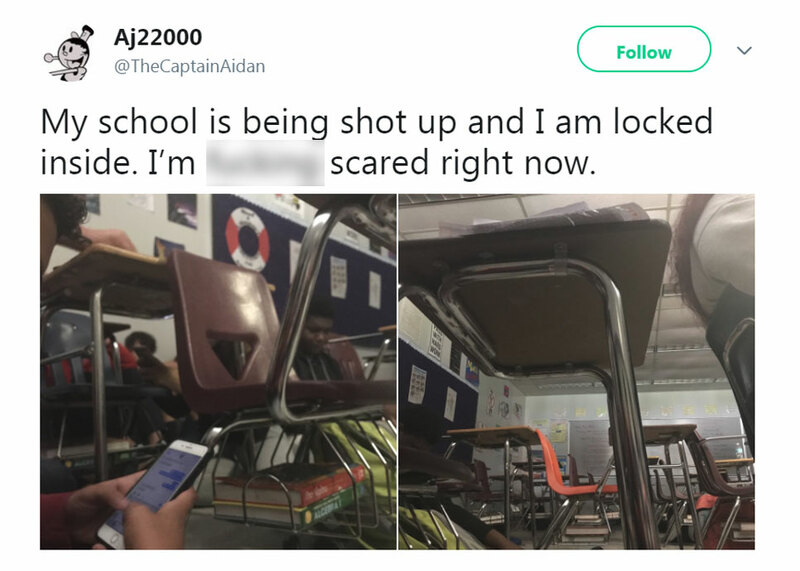 Twitter user @TheCaptainAidan posted photos of students cowering in their classroom, writing, "My school is being shot up and I am locked inside. I'm (expletive) scared right now."